Trim is a general and broad term used for all types of plaster moulding used with the walls and in many other areas. Trim moulding is used for hiding many things that make things look unplaseant. Trim moulding can be used for hiding the joints, gaps, irregularities and every other thing we don’t like to see on daily bases. Decorative plaster mouldings are not just the covering; it has become a trend to use baseboard moulding at many places where it is not required. The reason is the fancy appearance of the trim moulding that multiplies the beauty and charm of the place having it. There are lots of beautiful designs and shapes available in trim moulding that makes many eyes believe that it is only used for the purpose of decorating the room interior. So hiding the dirt behind the beauty will be comfortable for you and one of the nicest things to do. Trim moulding if correctly placed do not let visitors eyes to get a clue of whether it is used for hiding anything or it is only used as fashion. Plaster trim moulding is the best material that can be designed and placed easily over many things and surfaces. While wood is a heavy material and it is usually nailed when placement of the moulding is done. However, some other materials were famously used for trim cornice in recent years that include vinyle and related materials. The fashion now is that the baseboard moulding is done with plaster as it costs less and it can have many features that the old mouldings were lacking. Now the old kind of mouldings is rarely installed at places because they are considered obsolete now. There is no alternate to plaster. Plaster has the feature that it can be polished or painted. In all the ways it can have significant apparent looks that can attract the eyes. Plaster can have designing over it which is done with ease at the factories and even expert can do that with hands. That is the same reason one can find lots of options in designs and color variations regarding trim moulding. Trim moulding made with wood has a drawback that if they are made with inferior quality wood, they can be messy. Baseboard moulding tells the story when it is nailed as the rough woods show the errors and problems in the wood. So it is always preferred that when you plan to install the trim moulding then go for the good quality ones rather then the ones costing less because they can be messy if you manage to find in poor quality. 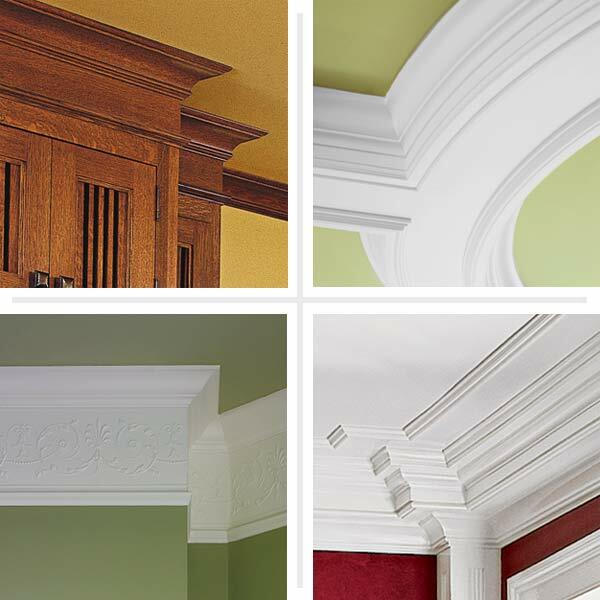 Trim moulding can have few classifications. These may include crown moulding, baseboard moulding, casing moulding, wall frame moulding, chair rail moulding, picture rail moulding and many others. This distinguishing is because of the placement of these mouldings at different areas. People do not remember these many names and baseboard or trim moulding is used for all kinds of mouldings as these names are quite commonly used. If you want to glow your house, then placing the trim moulding at different areas in your house is the best idea.